Scratching is a normal and essential need for your cat ; it leaves them feline good! It helps them stretch their back, file their claws, and communicate their territory to other cats, which helps them feel happy and secure. But, even though scratching is a natural behaviour, there are ways to combat inappropriate clawing - you don’t have to accept a shredded sofa! Though you shouldn’t try to stop your cat from scratching completely, there are some easy steps you can take to direct scratching away from furniture and carpets. A scratching post or tree is, of course, a great way to redirect scratching! When you provide an interesting, and always accessible place for your kitty to scratch, you’re giving them some options to direct those claws away from furniture. But as you know, cats are individuals! Depending on your furry friend’s feelings, it may take a little while to get them interested in a new scratching post. If you can, it’s important to make things fun and easy - make sure the new post is located by your kitty’s bed so they can have a morning scratch, and think about the type of post you choose. A post or tree that is the same length as your cat’s body will allow for full stretching! Sturdy, high, and vertical scratching posts with sisal rope are often the most attractive (think tree trunks!). So if you want to stop return clawing on your favourite armchair, you first need to remove all existing messages. A common home remedy is a mix of water, eucalyptus oil and lemongrass oil, which can be rubbed or sprayed on the furniture where your cat usually scratches. Though this might smell nice to humans, the aroma isn’t very appealing for cats, so they’ll often keep away! If you try this method, be sure to provide your kitties with a scratching post so that they have somewhere else to mark their space, and never spray a home remedy onto your cat themselves as this can make them afraid and damage your bond with them. Using home remedies may work for some cats, but others may not be so susceptible - and home mixtures are not scientifically proven. Plus, if you don’t like lemongrass or eucalyptus, your cat won’t be the only one who doesn’t like the smell! 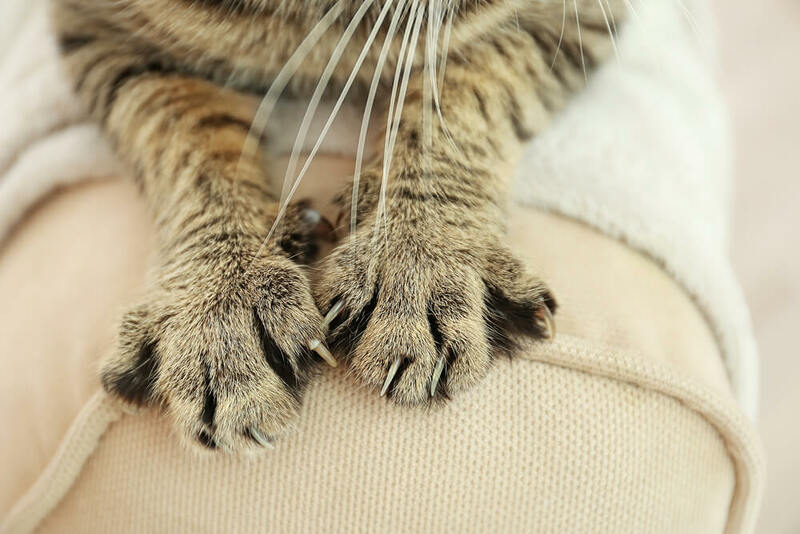 Cutting your cat's claws may be another option and will help your cat if they are not using their scratching post or need help to trim their nails. This releases “happy messages” which reassures your cat and stops them from returning there. And luckily, FELIWAY is only detectable by cats so you won’t experience any unwanted smells! Be sure to never use FELIWAY CLASSIC on a scratching post as this would stop your cat from using it. 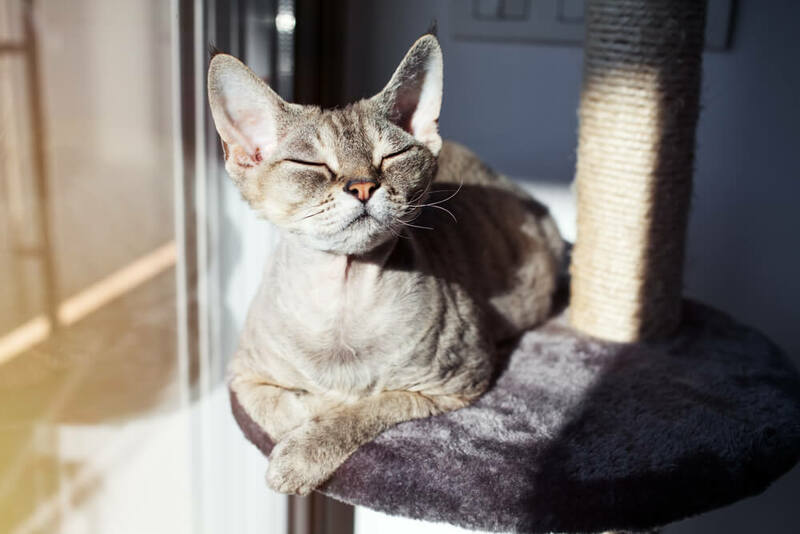 Instead, you can apply FELISCRATCH to their post; the visible lines and invisible ‘territory messages’ will encourage your cat to scratch there, and feel content that your home is their home!